You may have noticed the Card Game mentioned in 3D art, which hitherto has sat without a link or any substantiating evidence as to its upcoming existence. The basis for game play-- the rules, that is-- have been more or less worked out and tested using prototype cards. 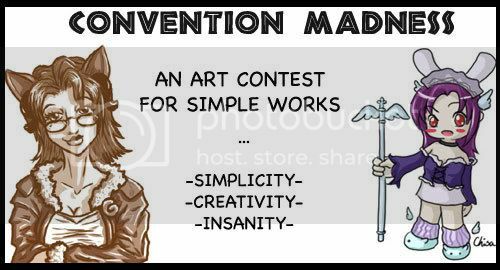 My sister and a friend of mine are joining in on this project, and together we are holding that above art contest on GaiaOnline.com Click the above link to visit the thread in the forum. We plan to use the entries to create at least some actual cards, filling in with prototypes where necessary, and to have all this available for test play at Animazement, where we have bought an artist alley table. Expect more information about Convention Madness to materialize on the Waking Dreams website as the date for the convention approaches!